We all chop and change the skincare products that we use, especially when new releases are constantly hitting us and there's a sudden surge of interest in specific products that are the next must-have. But, my skin doesn't like that, at all. Whenever I cut my routine down to the products that work for me time and time again, my skin is very grateful and it shows. Also, skincare products take a good few months to really get to work on your skin anyway, so if you don't use it for long enough, chances are you won't see the true benefits from it. At the moment, my morning skincare routine looks like this. It may seem like a lot of steps for a busy morning rush, but the longer I take to give my face a good going over, the better my skin and makeup looks and the better I feel. This morning routine has been working well for me for a few months now and so I thought I'd share it with you guys. 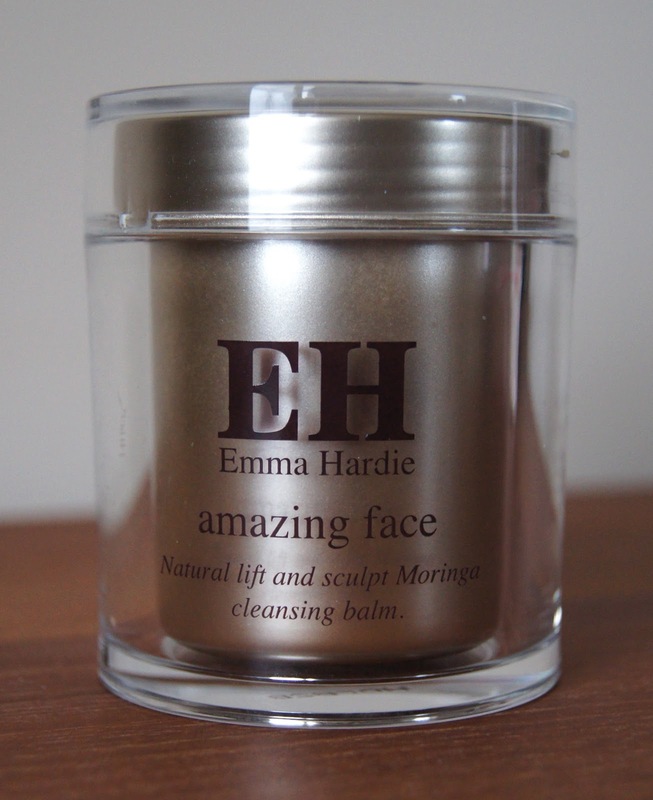 First off, I take a small amount of the Emma Hardie Amazing Face Cleansing Balm, rub it between my fingers to create an oily gel consistency and then massage this onto my face, working in circular motions. I really take my time to work it in, avoiding dragging my skin downwards as much as possible. When I'm satisfied that I've been at it long enough, I take a muslin cloth and soak it in hand hot water. After wringing it out, I use it to gently buff around my face, removing the cleanser as I go. I repeat this until my skin is properly clean. As my face is free from any makeup to begin with, after carrying out my skincare routine the previous evening, I only cleanse once. My skin is left soft, smooth and not at all stripped. All of the natural oils within the formula help to plump the skin and the massaging technique really boosts circulation. The muslin cloth adds an exfoliation element, but I don't rate the Emma Hardie cloths that come with this cleanser, as highly as others, because they just aren't as effective on my skin. Try the Liz Earle ones, or even those sold in drugstores that are cheap as chips. Just make sure you change up these cloths regularly and pop them in the washing machine, or else bacteria can grow on them and you don't want to be putting that on your face. 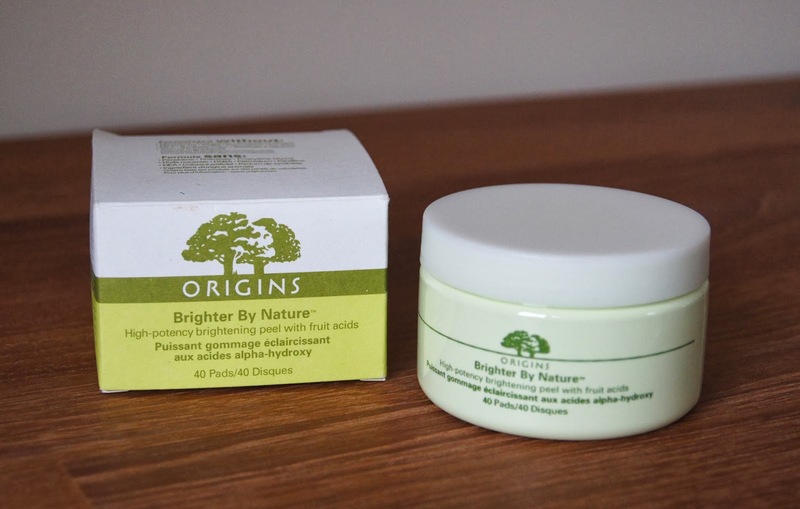 Next, if my skin is looking a bit dull and lacklustre or I'm preparing for a special occasion, I use one of the Origins Brighter By Nature Peel Pads in place of a toner, again moving in small, circular motions. Don't be confused by the name or scared by it, they won't cause your skin to peel, but the combination of the textured disk and the fruit-acid formula will slough away dead skin and unclog pores. Being rough in texture, you need to be gentle when using one of these, or they can feel scratchy on the skin and cause irritation. You soon know when to stop gently rubbing one on your face, as the saturated pad becomes dry when all of the solution has absorbed into your skin. Quickly and effectively, any dry skin is gone and skin is left noticeably brighter. I don't tend to use these pads more than once every ten days, as they're pretty powerful and using a muslin cloth daily is enough to keep my skin flake free. I also make sure I use a higher SPF product after using these, as the renewed skin can be more vulnerable to sunlight. 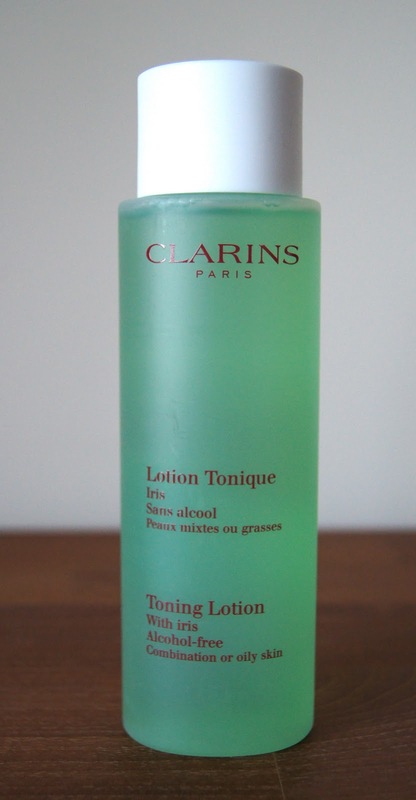 When I'm not using an Origins exfoliating pad, I use the Clarins Toning Lotion with Iris, which is great if you have oily/combination skin. Sweeping a cotton wool ball soaked in it, over my face, skin is calmed and soothed. Being alcohol free, it isn't at all harsh and helps to balance the skin. The formula is refreshing (especially when you keep it in the fridge) and leaves skin feeling comfortable, not tight. Around the eye area, it is no problem at all and doesn't affect them whatsoever. You don't need to use too much, so be careful when pouring it out, or you will get through a bottle quite quickly, which is my only gripe about this product. There is a common misconception that toners are used to help to clean your skin further, getting rid of the last remnants of dirt and any cleanser residue. That isn't the case and if you find you need your toner to do that job, then you either need to invest in a more effective cleanser, or make sure you're using the one you have in the correct way. Your skin shouldn't still be dirty after cleansing. Toners are used to add another element to you routine - adding hydration, helping to balance the skin, to soothe irritation or to exfoliate. 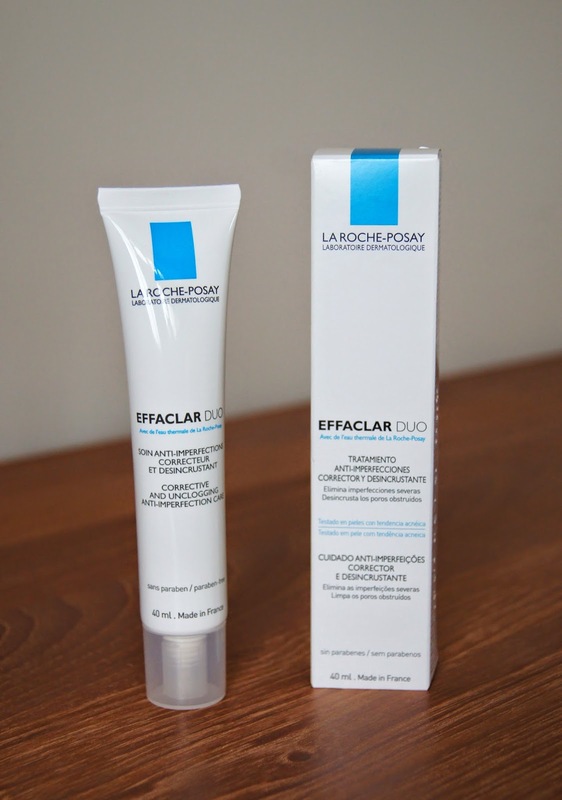 Once the toner has fully sunk in, I follow with the La Roche-Posay Effaclar Duo, if my skin has suffered some break outs. I've used this product on and off for a couple of years now and have really got back into it, as of late. It's a cream-gel treatment, infused with a variety of active ingredients, aimed at unclogging pores and purifying the skin. The silky, fresh-fragranced formula glides over the skin easily and quickly sinks in, without leaving any horrible residue. Skin is left with a matte finish and the product acts as a great primer before makeup. Some people like to use the Effaclar Duo in place of a moisturiser, but I find that it isn't hydrating enough for my dehydrated skin. So, on top of it, I use the Clinique Dramatically Different Moisturising Lotion, only in areas that need a little extra moisture, such as my cheeks, forehead and around the nose. But, if my skin is clear and blemishes are at bay, then I turn to my favourite daily facial serum of all time, Chanel Hydramax +Active. This serum is just perfect in my eyes. It is light enough to sink in speedily, yet hydrating enough to leave my skin feeling and looking amazing. It smells wonderful and I definitely notice a difference when I use it. 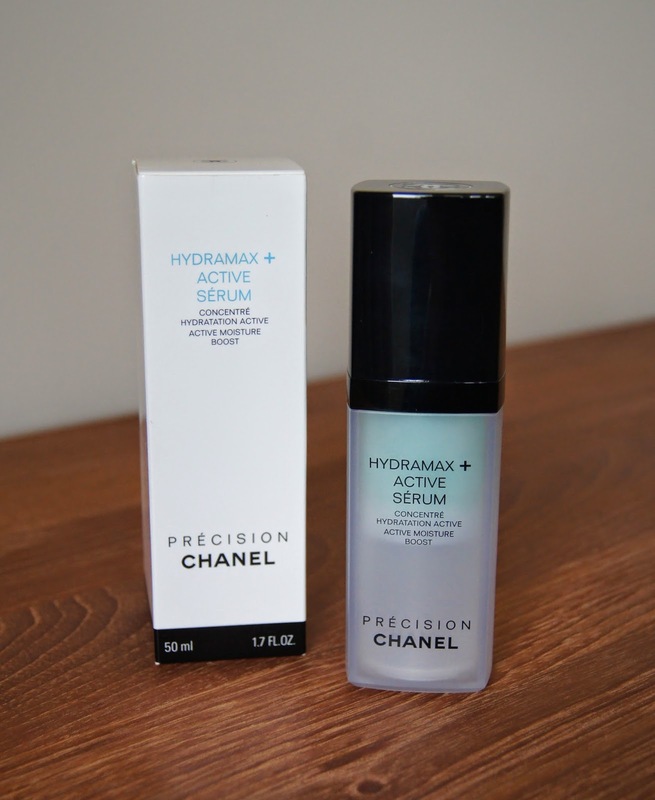 Unfortunately, as I've mentioned before on the blog, Chanel no longer stock this, but instead sell the Hydra Beauty Serum. I have bought this, but haven't tried it yet, as I'm waiting to finish off the Hydramax +Active. I'm pretty sure it is the same formula and only the name has changed, but I'll keep you posted on that one. Yes, it's ridiculously expensive, but I totally think it's worth it and I don't like to skimp on my skincare, sacrificing my skin, in favour of a few more pounds in the bank. 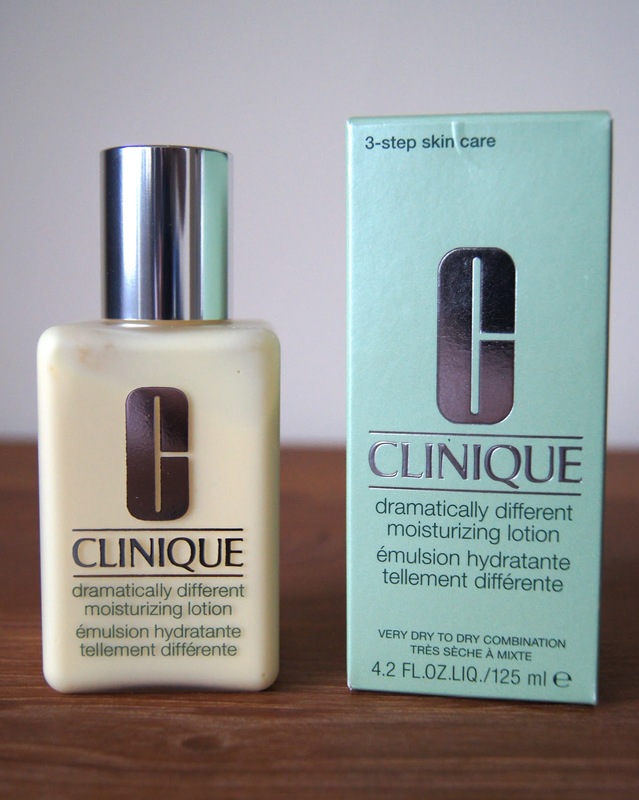 After using the facial serum, I turn to, once again, the Clinique Dramatically Different Moisturising Lotion. This deeply nourishes the skin and does leave the face with a moisturised, velvety feel. Even though it is rich, it isn't greasy and I love to use this under heavier foundations, so that they don't end up looking cakey or leave my face looking like a prune. It can be a bit too heavy if you go overboard, though and if you have oily skin, then you may prefer the lighter Dramatically Different Moisturising Gel formula. However, if you are prone to dryness, then your skin will drink this up and love you for it. As with all Clinique products, it is fragrance free and shouldn't cause irritation. Making sure that my hands are clean, I then move onto my eye area. I find that if I've used the Effaclar Duo and go straight into using my eye cream, without washing my hands, my eyes sting a little. 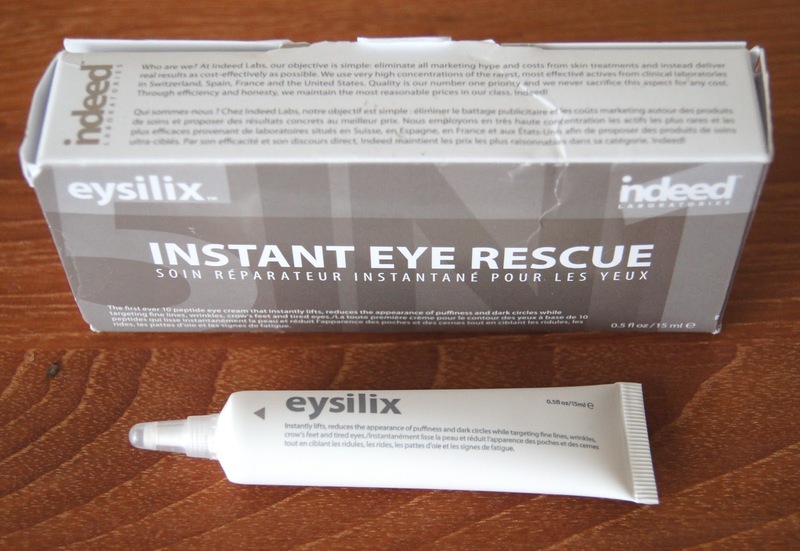 At the moment, I'm loving the Indeed Labs Eyesilix Instant Eye Rescue for the daytime. I've been through a lot of various eye creams, trying to find one that I think works and I definitely think this is the most effective that I've road tested, to date. Using my ring finger (as it has the lightest touch), I dab a pea-sized amount of the cream lightly around the eye contour. Immediately, you can feel it getting to work, tightening the area. I'm not talking miracles, but I like to think it's doing something. Formula wise, this is a little sticky and if you go to add more, it turns into a bit of a paste. Any stickiness soon settles down, just don't apply too much. The cream isn't particularly hydrating, but I try to avoid too much moisture around my eyes when I'm wearing makeup anyway, as I don't want my concealer to crease or my bottom lash mascara to break down. Finally, I finish my routine off with some lip balm. No matter what makeup look I plump for, I almost always add something to my lips. Using lip balm this early on, before I start doing my makeup, means that it has time to really sink into the lips, creating the perfect canvas for whatever I choose to wear on them. 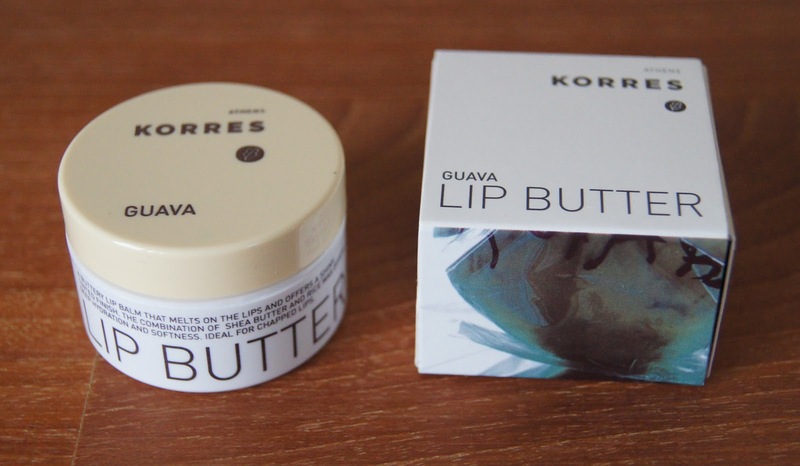 Lately, I've been loving the Korres Lip Butter in Guava. It smells delicious, doesn't contain any colour and actually nourishes, instead of just sitting on top of the skin. If you haven't tried these lip balms before, then I have to recommend them to you. They come in an array of different colours and fragrances, but the guava is my favourite. 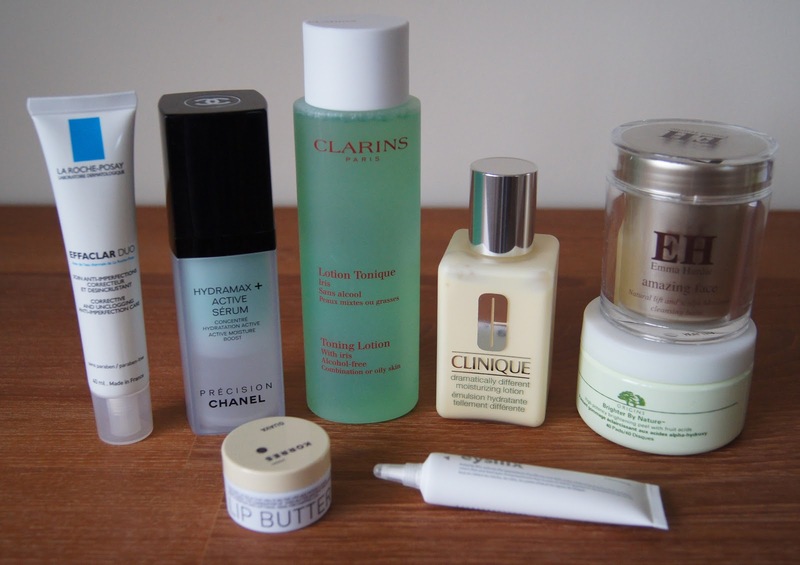 Which products are you using in your morning skincare routine, at the moment? What a brilliant post! 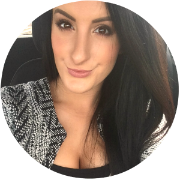 I love how you talked us through each product :) pat yourself on the back!